I only learned an hour ago of this massive and highly unusual dolphin stranding on Cape Cod, Massachusetts It would be no coincidence that the biggest amphibious/marine 'war game' exercise in a decade, called Bold Alligator, is currently taking place all over the eastern seaboard of the USA, rattling some sabres for the coming Operation PERSuasion: The 'Nuking of Iran to Fulfil Biblical Prophecy' Scenario and Other Religiously-inspired Atrocities. All these forces and battle technologies have been amassing in this area for the past month, which is exactly the time span these unusual strandings have been going on. 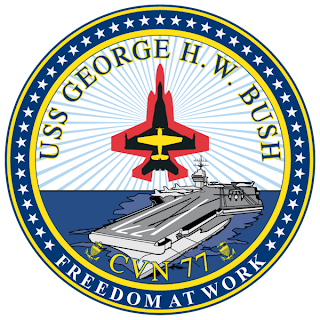 At least two aircraft carriers, the USS ENTERPRISE and the USS GEORGE H.W. BUSH are in this exact area now and have been for a while. These and many of the other ships would of necessity be operating ALL their forms of radar, sonar, including mid- and low-frequency active systems, not to mention ALL of their 'HAARP'/RF weapons systems, plus all the regular old nuclear and 'conventional' explosive, chemical and biological warfare gear. 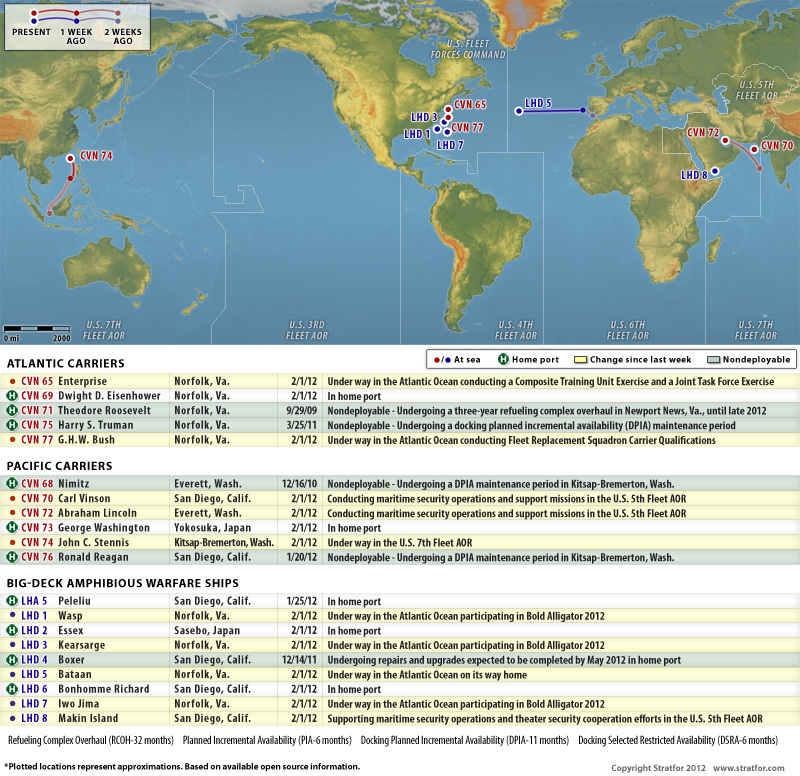 Now that I've learned more about the Navy as being the 'mac daddy' of all things nuclear, I think it safe to say that the U.S. Navy may own and operate more nuclear reactors than every other country and branch of the military put together, perhaps even thousands of them. Where do you reckon they dispose of all that high-level waste? They would never just drop it on the bottom of the ocean, would they? Try if you can to imagine what the marine acoustic and chemical environment must be like for hundreds if not thousands of kilometers in every direction from this immense concentration of all-things-deadly. 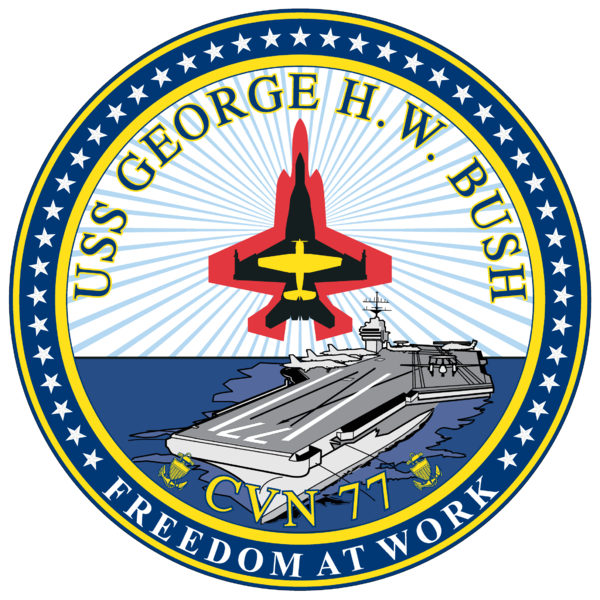 Imagine how many thousands or tens of thousands of cetaceans might have been 'taken', harassed and/or murdered by this ludicrous spectacle of military necrophilia..."to carry out our national security mission." Note that in the Guardian article below the 'official' liason with the NOAA (U.S. government organization who receives massive funding from the U.S. Navy) tells us MANY totally incredulous reasons why the dolphins stranded...from "swimming too close to shore" to being "confused by changes in water temperature" to "the liability of their strong social bonding." What utterly ridiculous and totally bogus CRAP coming from the brown-encrusted lips of Teri Rowles, obviously a Naval 'pr' operative like the majority of other people in the 'marine biology' business these days. Dolphins are extremely advanced beings superbly adapted to life in the (pre-industrial civilization) ocean LIGHT-YEARS beyond any 'intelligence' exhibited by homo sapiens. Her embedded message of "social cohesion could sometimes be deadly" sounds to me like a psy-ops meme designed to keep people from cooperating with each other, what do you reckon? 2. 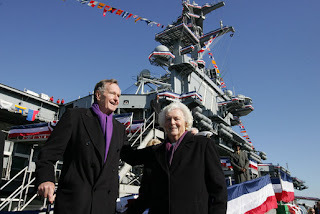 In Cape Cod event nobody connects the Navy to the event even though it is known that Naval exercises COMPTUEX have been and possibly still ongoing somewhere in Atlantic Ocean. As the unusual mass stranding of common dolphins at Cape Cod continues, it is perhaps pertinent to revisit another, quite similar mass stranding of common dolphins in Cornwall, UK in 2008. 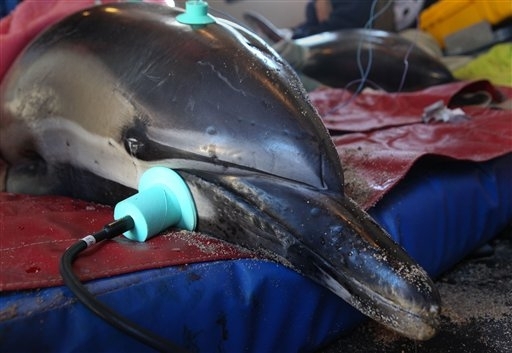 The UK event was as unusual as the Cape Cod one because it involved scores of dolphins stranded in a short period of time compared to average stranding numbers during other months of the same year. 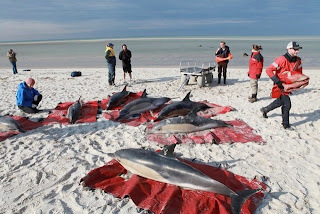 26 dolphins died in that event, while during other months the numbers of stranded dolphins ranged from 1 to 4. Luckily the Cornwall event was very thoroughly investigated. Dolphins were also seen milling close to shore prior to the onset of the mass stranding event. 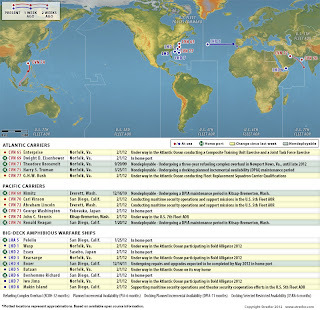 In Cornwall event it was very quickly established that the Royal Navy was doing a whole bunch of activities in the area, including Medium Range sonar, submarine activities, aircraft activities, explosions, etc.
" 'It's not unheard of for dolphins to swim too close to shore', said Teri Rowles, who heads the marine mammals division of NOAA, the government agency that monitors oceans. 'The Cape Cod area is a hot spot for mass strandings,' she said. But Rowles suggested the animals could have become confused by changes in water temperature or tides that led them into Cape Cod Bay, or by the irregular features of the coastline. There is also the possibility the dolphins could have been victims of their own natural sociability, simply following one another to their doom. 'These are very intelligent animals with very large brains, but there is something about the way they bond to one another,' Moore said. Those strong bonds serve the dolphins well in the wild. When they get into trouble, the dolphins stick together. But Moore added that social cohesion could sometimes be deadly. 'That bond becomes a liability when they get into shallow water, and that may be why they mass strand.' 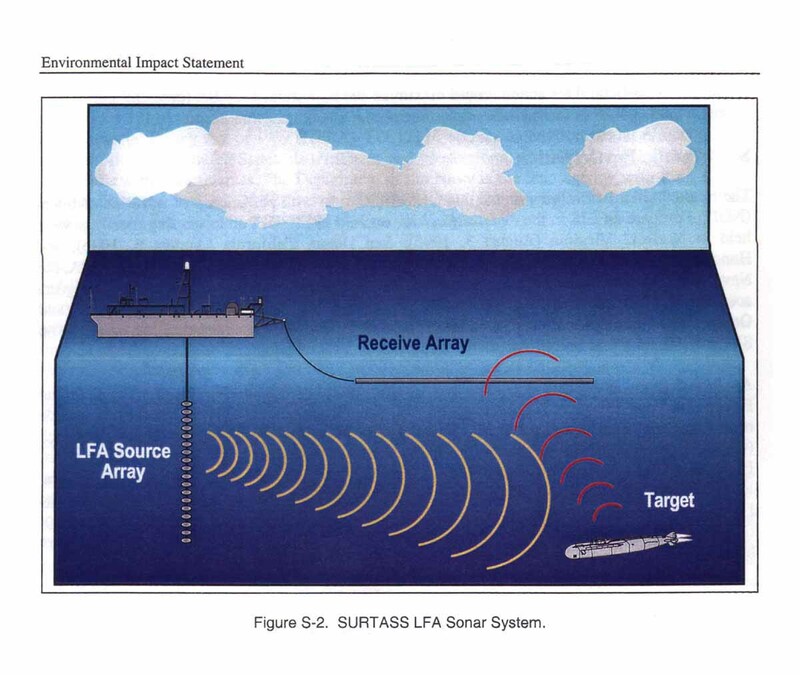 "
Or maybe it was a few LFA-SONAR blasts from the USS GEORGE H.W. BUSH air-craft carrier? 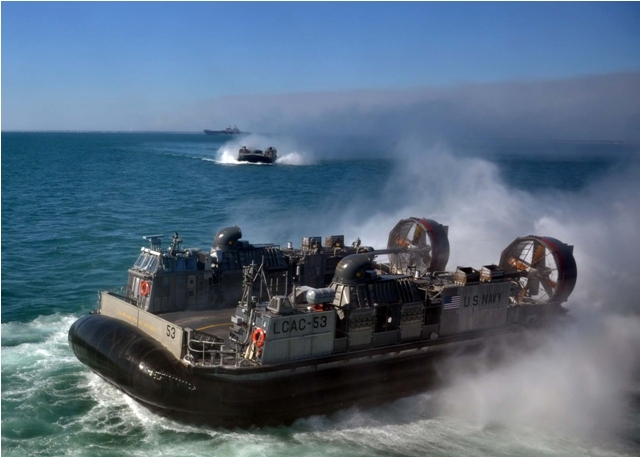 "With beach landings, 25 naval ships and an air assault, the United States and eight other countries are staging a major amphibious exercise on the US East Coast this week, fighting a fictional enemy that bears more than a passing resemblance to Iran... Bold Alligator is 'the largest amphibious exercise conducted by the fleet in the last 10 years,' said Admiral John Harvey, head of US Fleet Forces Command...About 20,000 US forces, plus hundreds of British, Dutch and French troops as well as liaison officers from Italy, Spain, New Zealand and Australia are taking part in the exercise along the Atlantic coast off Virginia and North Carolina.